Can’t think of much that feels more fine, than the sweet, sweet SUMMERTIME. The only complaint we had in June, is that it came and left too soon. Before the summer flies on by, check out our recap of July! This month, we welcomed four new friends, to the Branches adventure that never ends! We work hard with our seeds & we keep on sewing, cuz’ the Branches tree just keeps on growing! 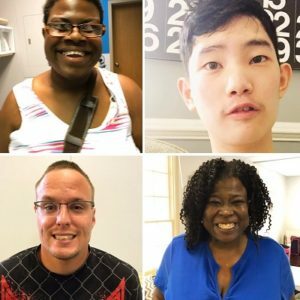 Say hello when you see Aisha, Andrew, Spencer and Michelle! Science week was such a blast, check out all the fun we had! 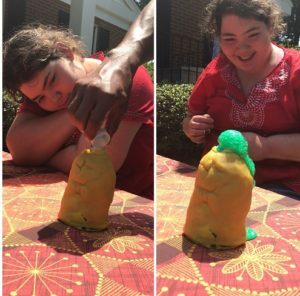 We molded, and created our own volcanos, our favorite part? To watch them BLOW! 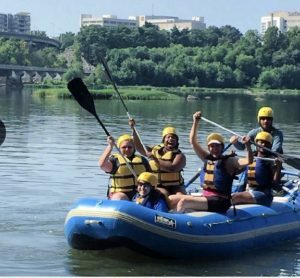 Call us wild, call us names, but we jumped in a boat, and rafted the James! The adventure was awesome, and inclusive for all, you want in? Give Beyond Boundaries a call! 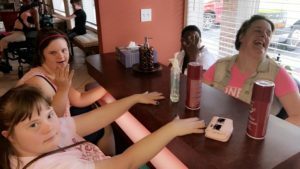 Pamper day was great for sure, we left feeling cute, with a fresh manicure! If you thought the nail shop was a blast, check out our first Paint n Sip Class! Our artwork was a sight to see, q-tip art helped make our tree! Some days we want some extra fries, but we worked if off with exercise! 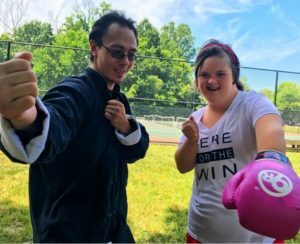 We learned that kickboxing is a form of art, and practiced our moves at Point of Rocks park! Hope you enjoyed our July recap!